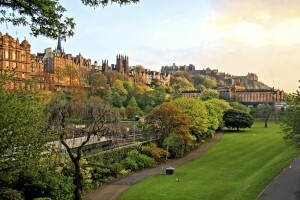 Every year, Factotum accommodate thousands of tenants visiting Scotland for either a holiday, business or re-locating to/within Edinburgh. We deliver a first class service and offer an impressive portfolio of properties to suit everyone’s budget and needs. To fill out our Potential Tenants’ Form, here. Factotum’s experience and knowledge takes the worry and hassle out of letting. We’ve been at the forefront of residential property letting in Edinburgh since 1985. Open seven days a week during the festival period, we’re always on hand to sort any issue. We have a team of experienced and dedicated property managers who each manage a portfolio, so you deal with the same people who know you and are familiar with the property. Our website allows each tenant to login and see all up to date information on their let, including a full billing history and details of any maintenance planned on the property during the tenancy. Whether you want to let a property in Edinburgh for a week, a month or a year – Factotum can find you the perfect place.